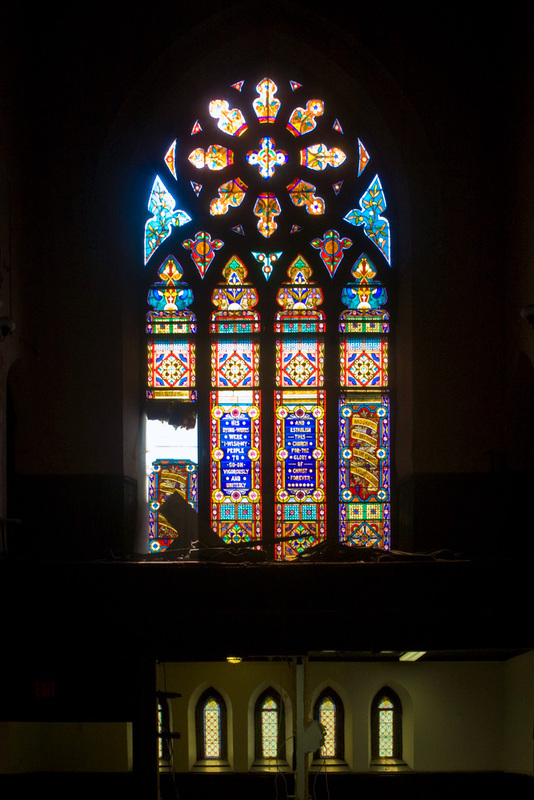 With dust masks mounted and Kevlar® gloves tightened, salvage and demolition men have officially begun the transformation of a prominent Brewerytown church. 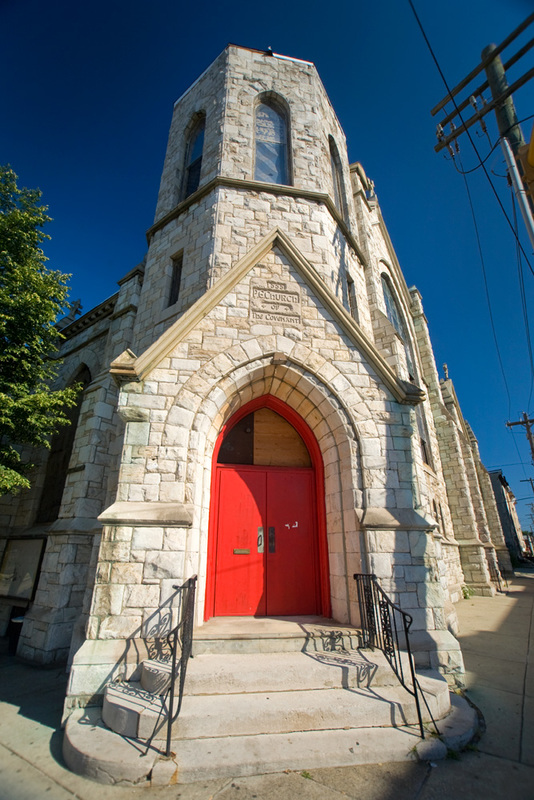 Built as the Protestant Episcopal Church of the Covenant in 1888 from a design by Frankford native Frank Rushmore Watson, the church, rectory, and an adjacent lot were purchased by 2701 Girard Ave LLC, a purchasing company operated by real estate broker Jordan Brody, last year for $250,000. Ian Smith Design Group, of Philadelphia, has prepared designs for the main church building’s conversion to 16 rental apartments. St. Augustine’s Mission, not to be confused with historic St. Augustine Catholic Church in Old City, was a congregation founded in 1902 that had no permanent home until it merged with the P.E. Church of the Covenant. When that happened, the official name became St. Augustine’s Church of the Covenant, which it kept until the Episcopal Church sold the building last year. 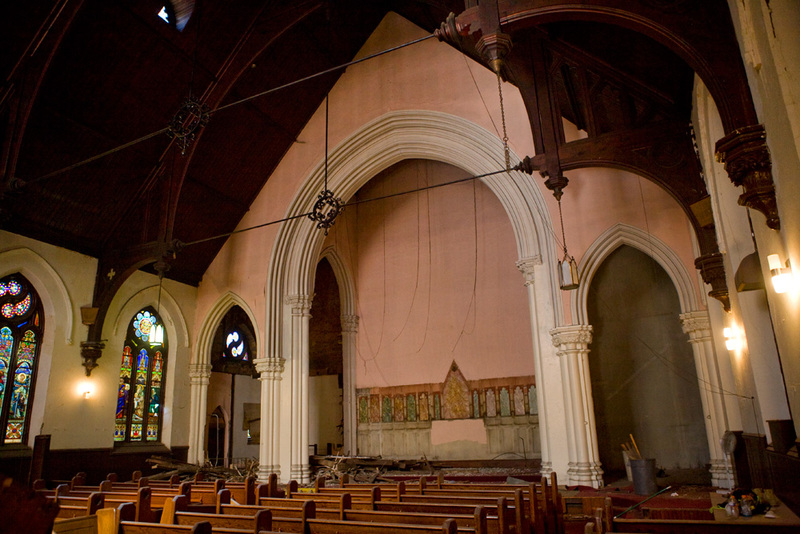 Brody indicates he plans on salvaging as much as he can from the church and is currently seeking parties interested in the dozens of pews still on site. 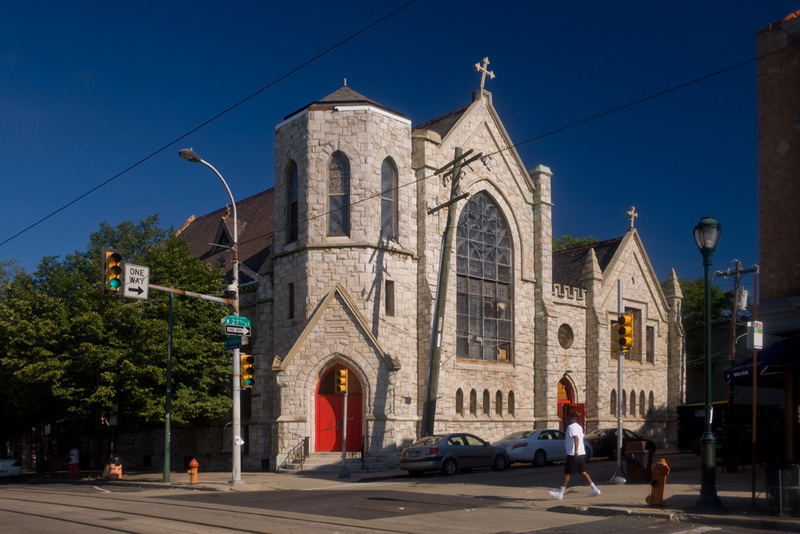 The stained glass windows along Girard Avenue and 27th Street will be removed and replaced with standard residential windows. Brody says he expects work to be completed next year, with occupancy estimated for mid-2014. I am somewhat perplexed how \”standard residential windows\” could be installed in the traceried arched openings, but it is good news they will attempt to reuse this structure. What was meant by \”standard residential windows\” is clear glass operable windows to allow for greater light, air & general functionality for future residents. They will have to be custom made due to the unique shape of the existing openings. Okay – that\’s clearer, no pun intended ! You made me smile. Who doesn\’t like a pun?!? To clarify \”standard residential windows\” was meant to imply clear operable glass windows for greater light, air & functionality for the future residents. They will have to be custom made in order to fit the unique (& we think quite beautiful) existing openings. What has happened to the congregation? The original congregation moved away from the area decades ago.